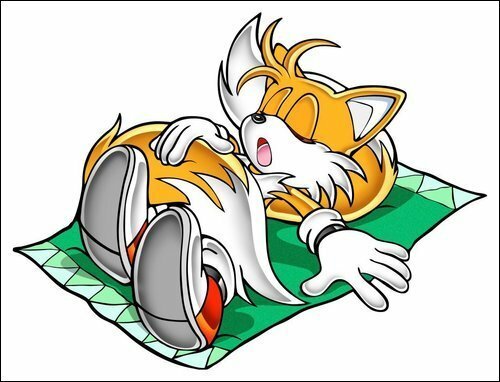 tails is sleeping shhh. . Wallpaper and background images in the Miles "Tails" Prower club. He is using his tail for a pillowie illow. I'am saving this on my profile?is it.anway SOOOOOOOOOOOOOOOO CUTE.AND TAILS IS CUTER TOO. It's gettin' late but I don't mind. (x4) oh I'm trippin'. ok guys he's sleeping, so shhhhhhhhh. just one of the resons i like him so much he so cute!